Whilst our Drayton Manor; Tips & Tricks helps you to beat the queues, our money saving guide below provides a round up of current deals & discounts running at the park. For those that can book in advance, take advantage of online savings with tickets priced from £25 an adult/£20 a child. This cheap ticket offer from Attractiontix secures you savings of up to 36% off walk up prices & includes entry to the theme park, Thomas Land & Drayton Manor Zoo, (more offers below). TO BOOK TICKETS GO TO Drayton Manor Tickets – save up to 36% off walk up price tickets. 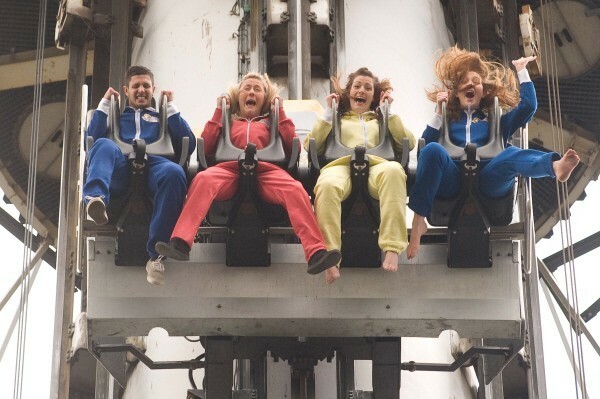 Pick up a Thrill Hopper ticket that offers one admission to all four of the following; Drayton Manor, Alton Towers, Water World & Tamworth Snowdome. This combined entry deal secures substantial savings off individual entry to each attraction & is currently priced at just £60pp/£180 for a family of 4. This ticket can be used either in conjunction with a short break or can be used by those that prefer to space out their visits throughout the season. More information available at Drayton Manor; Thrill Hopper Ticket. Take advantage of a Dayton Manor meal deal package that offers theme park admission, (including Thomas Land & Drayton Manor zoo), plus a choice of meal options from just £28pp. This offers savings of up to 39% off package gate prices that includes a theme park ticket, meal, drink & side at selected onsite restaurants. More discounts available on family packages plus further upgrades on 2 day tickets for those looking to extend their stay. Regular Tesco shoppers can pick up some easy savings at Drayton Manor by redeeming their reward clubcard vouchers. This ‘pay in full’ deal offers one day entry to the park and is always a popular method to reduce entrance charges. Simply redeem your vouchers in advance and present at the ticket kiosks on the day of your visit. TOP TIP; follow our Guide to Drayton Manor packed with top tips & money saving ideas to help you get the most from your day out to this popular theme park! Build your own budget break by combining current deals running over at the Drayton Manor Hotel with cheap ticket offers. Often you can pick up great offers in this on-site hotel from LateRooms that allows you to to enjoy an extended leisurely break and be raring to go for a second day at the park & beat the queues. Look out for second day ticket deals too that can be worth considering, (more details book). TO MAKE A BOOKING GO TO Drayton Manor Hotel – LateRooms. Look out for Drayton Manor’s comeback deal that offers discounted entry for next day entry to the park. Day2Tickets are priced around £14pp, (£7 for 2-3’s), and only available to those already at the park who wish to return the following day. Simply present your original tickets to Guest Services after 3pm on the day of your initial visit and remember that tickets must be purchased BEFORE you leave the park. Previously, this included subsequent visits later on in the season but unfortunately this is now restricted to next day tickets only. For those with pre-school children, check out the toddler ticket that runs Monday to Friday during Staffordshire term time. This adult & toddler ticket offers 1 adult & 1 toddler, (under 4 years), entry to the park for just £20. This can offer value for money as under 2’s go free & a chance to visit Drayton Manor during less busy times. This offer is only available on select days so worth double checking before planning your visit. 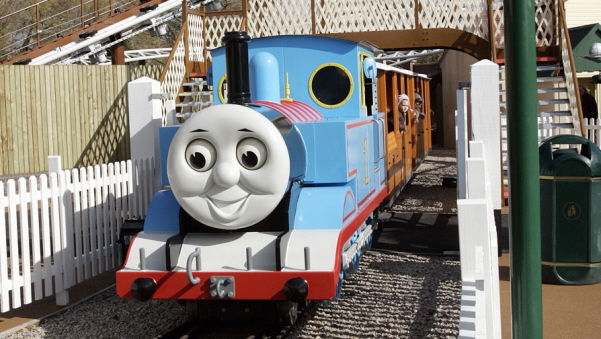 TOP TIP; follow our Guide To Thomas Land At Drayton Manor packed with queue-busting tips & money saving tips to help you enjoy your next visit to Thomas Land! Look out for cheap Drayton Manor ticket options from 365tickets that runs a range of packages throughout the season. Promotions vary throughout the year so worth considering what’s running on the day of your visit as we’ve seen substantial discounts off standard price entry & meal deal packages in previous seasons. More information available at Drayton Manor Tickets & Meal Deal Options. Drayton Manor are offering all serving military personnel FREE entry to Drayton Manor during the theme park season. Simply present your valid military identification card at the ticket booths on the day of your visit to secure free entry. This offer is open to all serving & ex-serving members of the army, navy and air force. Look out for this after school ticket for Drayton Manor that offers discounted entry to the park from 3pm during any weekday of the Staffordshire term time. Pick up entry for 1 adult & 1 child under 11 years for a combined price of around £10pp. For those living locally this can offer value for money for a later visit to the park. Worth checking dates that this offer is available before setting out to the park. Previously, Drayton Manor has run a popular 2 for 1 voucher for those that travel by train. In essence this deal offer one free entry when you present valid train tickets & downloaded voucher to the ticket booths at Drayton Manor on the day of your visit, (exclusions apply). Whilst this offer is currently unavailable, we’ll bring you more details is this offer runs again. Look out for our money saving guide to Drayton Manor Ride Photography Deals to help you get the most from your day out! 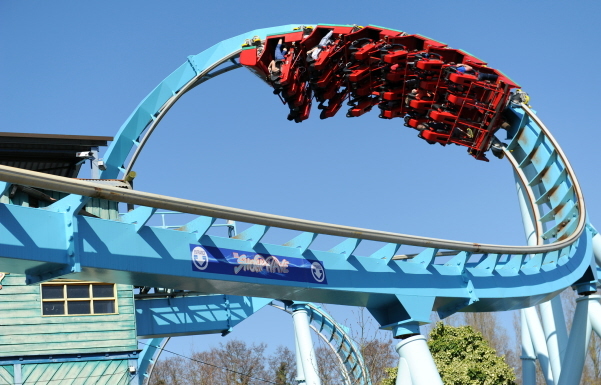 For visitors looking to extend their visit, look out for the Drayton Manor Theme Park Family Break that includes overnight accommodation, Drayton Manor tickets x 4 PLUS family entry two other visitor attractions. This short break package is priced at £170 for a family of 4 and offers flexibility both in terms of accommodation, (includes the Drayton Manor Hotel), as well the range of visitor attractions included with your stay. As well as family theme park tickets to Drayton Manor, you can opt for family entry to 2 other attractions in the area including Trentham Gardens, Monkey Forest, SnowDome, Water World & Conkers. More details available at Drayton Manor Theme Park Family Break. At select times of the year, Drayton Manor offers a FREE return visit if it rains continuously for 2 hours or more for those that have pre-booked tickets at least 1 day in advance with Drayton Manor. Worth double checking if your visit is eligible for a rainy day guarantee before banking on this offer. More information available at Drayton Manor – Rainy Day Guarantee. Free Entry to Drayton Manor for Royal Namesakes. Free entry to Drayton Manor. £5 entry to Drayton Manor. Free entry to Drayton Manor for teachers. 2 for 1 voucher Capri Sun. Yoplait Thomas the Tank Fromage Frais; 2 for 1 voucher. Free Entry for those wearing a morphsuit. REMEMBER TO EXPLORE OUR Drayton Manor Guide To Beat The Queues packed with money saving ideas to help you bypass the queues! This entry was posted on Thursday, March 1st, 2018 at 6:18 am	and is filed under . You can follow any responses to this entry through the RSS 2.0 feed. You can leave a response, or trackback from your own site. Are there currently any 2 for 1 discounts for September ?? Hi Alex, not that I have come across although if you book online 7 or more days in advance with Drayton Manor, you can pick up savings of up to 40% off the standard gate price ticket. Hi, whilst I cannot find a 2 for 1 voucher for Drayton Manor, I can see an online discount of up to 40% off standard price tickets if you book directly online with Drayton Manor 7 or more days in advance. Hi Chloe, yes I’ve struggled to find a 2 for 1 vouchers for Drayton Manor too unless you are travelling by train. There a some good online discounts that worth taking a look at either through Drayton Manor directly or 365 tickets that offer quite a discount off on-the-gate prices. Alternatively redeem Tesco clubcard vouchers for tokens? Hi Paul, Drayton Manor offer family tickets for families of 3, 4 & 5 that are available on the gate only that are priced at £81, £108, £135 respectively this summer. I’m interested in the £109 deal for drayton manor theme park and hotel stay. How do I go about booking this ? Hi Tasneem, there is £159 deal for an overnight stay, entry to Drayton Manor x 4 plus entry to Twinlakes OR Wheelgate theme park x 4 that is with Stay Play Explore Short Breaks. Other than that, I am not sure of any other deal for £109. I wanted to pay for 2 tickets for my son and grandson but will not be visiting myself. The terms and conditions say the tickets will only be given to the card holder!! Not a good option. The office is now closed so I cannot ask anyone for advice and I wanted to book online for tomorrow. Looks like I will miss out on the £20, £15 deal. Hi Maggie, I understand that Drayton Manor does this to help protect against card fraud but I have raised this with them to see if there is a possible route round this. I will let you know if I receive any further information that could help your situation. Hi Maggie, I have now received further information that may help your situation…the reason they ask for cards to be shown upon collection is as proof of identity as well as purchase and to prevent fraudulent purchases. If buying on behalf of someone else, tickets can be bought at the online discount rate from the call centre (0844 472 1960) instead of online. Tickets can then be posted out to the home address of the person buying them (the cost of postage will need to be covered) and then physically given to those visiting. One other option available to those that want to book tickets online at Drayton Manor, is to ensure the recipient is aware of the full booking information. Then if the card holder is not present to collect the tickets, the park’s staff will ask the guest to confirm all of the booking info (address, telephone number and email) before releasing the tickets. Hi Crazycard, it is a little confusing I know but tickets are indeed £20 an adult/£15 a child,(£5 for 2-3 year olds) if you book in advance and visit between 20 July & 1 Sept….don’t worry about the stated prices on the Drayton Manor website as you first go through to the site, just select a date between 20 July & 1 September and the discounted ticket prices will come up. Hi Shagufta, do you mean the 2 for 1 voucher for Drayton Manor? For this deal, just follow the link through to vouchercodes, sign up and download your 2 for 1 voucher. Not long to go on this deal as it expires on 30 June. If you are looking to go over the school summer holidays, then check out the reduced price ticket offer from Drayton Manor with adults tickets £20, (12 years +) or children, (4-11 years) £15. Can I use Tesco clubcard vouchers for Thomasland at Drayton Manor? Hi Glenys, yes you can use Tesco clubcard rewards tokens for entrance charges as Thomas Land sits within the offer of Drayton Manor Theme Park. For Drayton Manor, you can use clubcard vouchers as a ‘pay in full’ reward with every £10 in clubcard vouchers gaining each person entry to the park, (& thus Thomas Land as well). Remember to redeem your clubcard vouchers for reward tokens before you visit the park. Hi there….where can I pick up a 2 for 1 voucher for Drayton Manor for May? Thanks! Tanya, try the visittheheart website, (link above) that has a current 2 for 1 voucher for Drayton Manor. Always worth checking online with Drayton Manor too as they often have 2 for 1 vouchers on their site especially around school holiday times. Follow our guide to Drayton Manor packed with top tips & money saving ideas to help you enjoy a day out at Drayton Manor.